304L Stainless steel square Bar | 304L stainless steel square bar | 304l ss square bar Cold Finish Square Bars, SS UNS S30403 Square Bars Manufacturer, EN / AISI SS 304L Square Bar, Stainless Steel 304L Square Bars & Rods Manufacturer & Exporter, Manufacturer of SS 304L Square Rod In Mumbai. 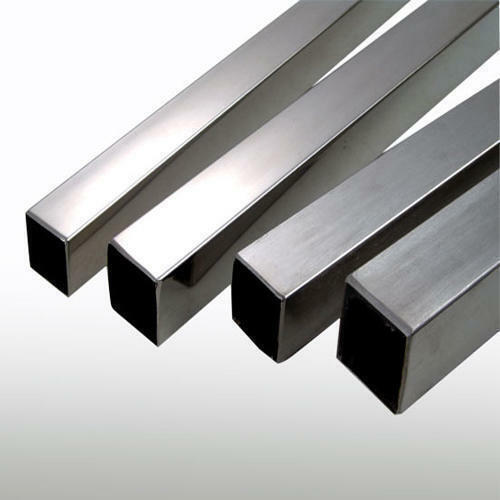 ASTM / ASME SA 276/479 Stainless Steel Square Bars, Werkstoff Nr 1.4306 / 1.4307 SS 304L Square Bars & Rods,Stainless Steel UNS S30403 Square Bar, SS DIN 1.4306 Square Rods Exporter. Gunratna Metals as a well known venture, is linked with offering 304L Stainless steel square Bar | 304L stainless steel square bar | 304l ss square bar (SS 304L Square Bars) as a maker, exporter, stockiest and provider to our local and worldwide customers. Stainless Steel 304L Bars (SS 304L Bars) are as perceived as 18/8 stainless as a result of their substance structure that involves around 18 percent of chromium and 8 percent of nickel by weight. Stainless Steel 304L Rods (SS 304L Rods) has a somewhat bring down yield and rigidity than Stainless Steel 304. Regarding national and worldwide nature of crude materials, we additionally offer these UNS S30403 Square Bars in redid sizes and thicknesses according to particular requests by our regarded customers at advertise driving costs. These products are reliable in nature and offered products are superior in quality. Gunratna Metals Supplies Stainless Steel 304L Square Bars & Rods in Agartala, Agra, Agra Rampur, Ahmedabad, Aizawl, Ajmer, Aligarh, Allahabad, Alwar, Amaravati, Ambala, Ambattur, Ambernath, Amravati, Amritsar, Aurangabad, Bangalore, Bareilly, Belgaum, Bhagalpur, Bhavnagar, Bhilai, Bhiwandi, Bhopal, Bhubaneswar, Bidhannagar, Biharsharif, Bikaner, Bilaspur, Bokaro, Chandigarh, Chennai, Chittoor, Coimbatore, Cuttack, Dahod, Davanegere, Dehradun, Delhi, Dhanbad, Dharamsala, Dindigul, Diu, Durgapur, Erode, Faridabad, Fatehpur, Gandhidham, Gandhinagar, Ghaziabad, Greater Hyderabad, Greater Mumbai, Greater Warangal, Gurgaon, Guwahati, Gwalior, Haldia, Howrah, Hubballi-Dharwad, Hyderabad, Imphal, Indore, Jabalpur, Jaipur, Jalandhar, Jammu, Jamnagar, Jamshedpur, Jhansi, Jodhpur, Junagadh, Kakinada, Kalyan-Dombivali, Kanpur, Karnal, Kavaratti, Kochi, Kohima, Kolhapur, Kolkata, Kota, Lucknow, Ludhiana, Madurai, Mehsana, Mangalore, Mangaluru, Mira-Bhayandar, Moradabad, Morbi, Mumbai, Muzaffarpur, Mysore, Nagpur, Namchi, Nasik, Navi Mumbai, NDMC, Nellore, New Delhi, New Town Kolkata, Noida, Oulgaret, Pali, Panaji, Panipat, Panvel, Pasighat, Patiala, Patna, Pimpri-Chinchwad, Port Blair, Puducherry, Pune, Raipur, Rajkot, Ranchi, Raurkela, Industrial Township, Rourkela, Sagar, Salem, Satna, Secunderabad, Shaharanpur, Shillong, Siliguri, Silvassa, Solapur, Srinagar, Surat, Thane, Thanjavur, Thiruvananthapuram, Thoothukudi, Thrissur, Tiruchirapalli, Tirunelveli, Tirupur, Tumkur, Udaipur, Ujjain, Ulhasnagar, Vadodara, Vapi, Varanasi, Vasai-Virar, Vellore, Vishakhapatnam. Gunratna Metals exports Stainless Steel 304L Square Bars & Rods to Countries like India, United States, United Arab Emirates, Canada, Pakistan, Peru, Chile, Spain, France, United Kingdom, Indonesia, Israel, Iran, Kuwait, Mexico, Malaysia, Serbia, Singapore, Taiwan, Chile, Venezuela, Ecuador, Saudi Arabia, Netherlands, Brazil, Colombia, Ghana, Iran, Denmark, Poland, Australia, Afghanistan, Bahrain, Costa Rica, Egypt, Iraq, Jordan, South Korea, Kazakhstan, Sri Lanka, Lithuania, Norway, Oman, Philippines, Poland, Qatar, Russia, Vietnam, South Africa, Mexico, Turkey, Hungary, Algeria, Angola, Argentina, Austria, Azerbaijan, Bangladesh, Belarus, Belgium, Bhutan, Bolivia, Bulgaria, Croatia, Czech Republic, Estonia, Finland, Greece, Italy, Japan, Libya, Romania, Thailand, Trinidad & Tobago,Tunisia, Ukraine, Yemen, Hong Kong, Gabon, China, Portugal, Switzerland, New Zealand, Sweden, Slovakia, Kenya, Lebanon, Morocco, Mongolia.